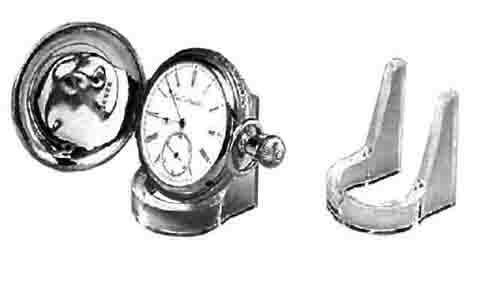 Plastic watch display stand is 1-3/8" diameter x 1-5/8" tall. 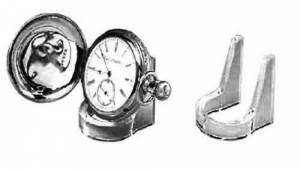 Displays pocket watches, either open or hunting case. Imported.